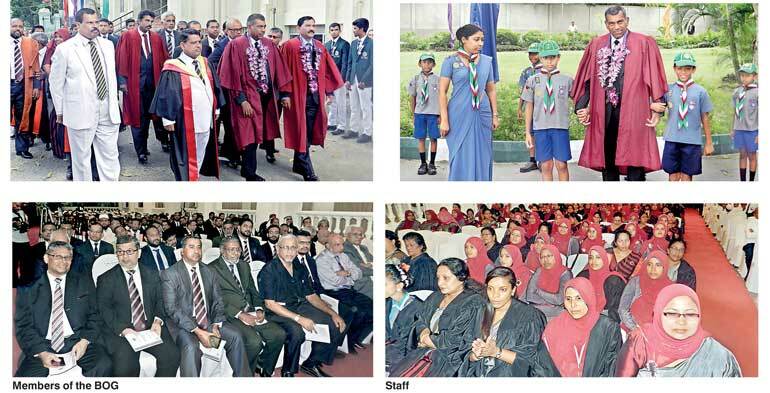 Zahira College’s annual prize giving ceremony was held at the college’s Gaffoor Hall recently. Colombo University Lecturer, former Dean of the Faculty of Law of the Kothalawela Defence University and Commissioner of the Human Rights Commission of Sri Lanka, Dr. Prathiba Mahanamahewa, was the Chief Guest at the occasion while the Guest of Honour was Zonal Director of Education W.M. Jayantha Wickramanayaka. Meanwhile, Zahira College Principal Trizviiy Marikkar read the principal’s report at the event. In his speech Dr. Mahanamahewa said that the annual prize giving was a memorable event and requested children to respect others and live as good citizens. He reminisced about his school days before predicting that one day the Zahira College flag would be flying high internationally. The Best All Rounder Student of the College, Mohamed Naqeeb, received the N.D.H. Abdul Ghafoor Gold Medal along with the Prof. M.T.A. Furkhan Challenge Cup and Brigadier A. Ariyapperuma Memorial Challenge Cup from Chief Guest Dr. Mahanamahewa. Principal Marikkar presented mementos to the Chief Guest and Guest of Honour on behalf of the school ahead of Senior Prefect Afthab Farook proposing the Vote of Thanks. Board of Governors Chairman Fouzul Hameed also addressed the gathering. Old Boys Association President M.U.M. Azmi, former Parliamentarian A.H.M. Azwer, Royal College Principal B.A. Abeyrathna, Kahiriya Girls’ College Principal Nazeera Hassanar, Zahira College past principals, Senior Vice Principal Ananda Ponnemperuma, Vice Principals W. Dunugama, A.M. Mihilar, M.T.A. 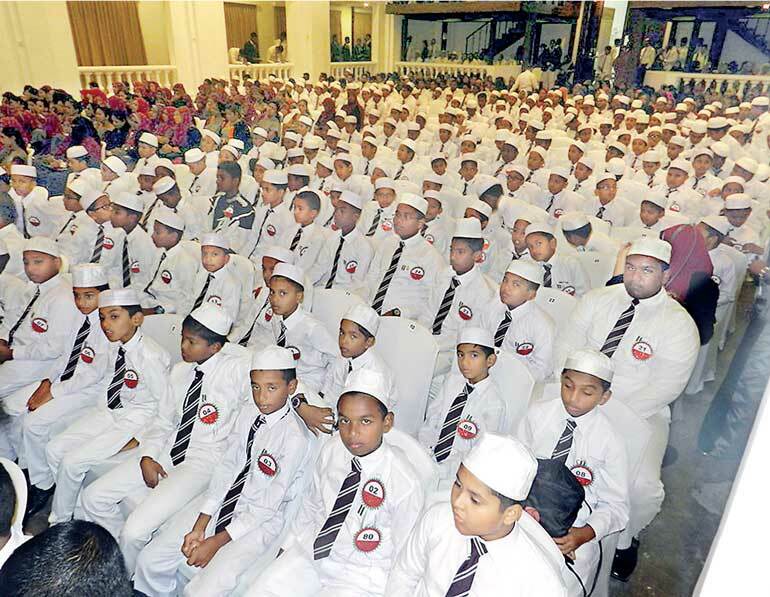 Rauff and Hijazi Mohideen, POG Muhiseen Ariff and the Head of the Primary Sihana Aslam along with members of the Board of Governors, teachers, students, Old Boys and parents were present at the occasion.